Dazed & Confused magazine proclaims loud and clear that Kendall Jenner is changing the face of fashion on its Winter 2014 issue. The new face of cosmetics giant Estée Lauder stars on three covers for the issue (including a special edition cover) in an attempt to showcase her versatility. Amongst many recent high-profile gigs, Jenner is about to front a campaign lensed by Karl Lagerfeld and appears in a lengthy fashion story for US Vogue‘s December issue — but changing the face of fashion? Let’s see what the forums have to say on the subject. 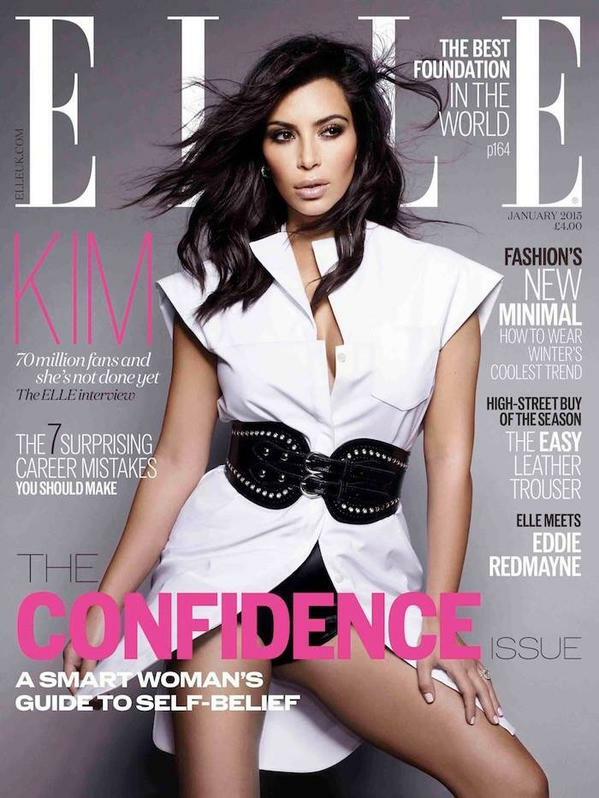 “I actually like the first one even if I don’t like the changing the face of fashion cover line,” writes Oxymore, within minutes of the thread surfacing on our forums earlier today. Tinsley V adds her two cents and comments, “Yeah Kendall Jenner, quite the fashion revolutionary … *vomit*.” Ouch! A glimmer of hope from forum members? “I’m so excited to have something different. I do like the three covers, especially the first one. The preview is interesting too,” enthuses GivenchyAddict. We’re pretty certain the thread will receive a lot of action over the next few hours. It’s early hours for much more deliberation but be sure to check out all three covers and view some previews of Dazed‘s Winter 2014 issue inside the thread here. 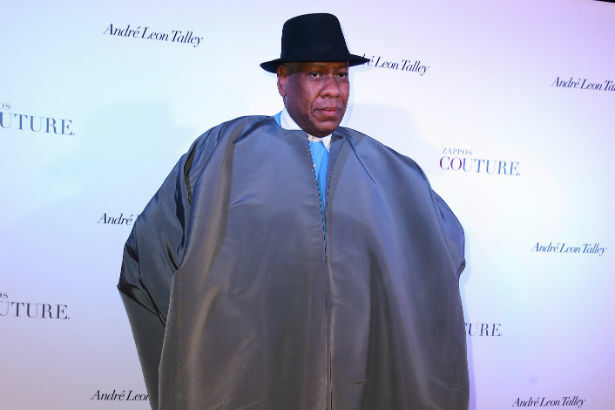 Can’t stop, won’t stop: André Leon Talley is bouncing back from his exit from Zappos Couture with a new project he’s working on with Will.i.am. WWD confirms that the editor has been tapped as the fashion director for the producer and his smart accessory, the i.am.Puls bracelet. Will and Talley have been palling around for quite a while now — they arrived together at Louis Vuitton’s Monogram dinner a few weeks ago looking very buddy-buddy. Now, we know why the pair has become so close. The i.am.Puls bracelet is a device that allows the wearer to play music, answer texts and phone calls, update their social media accounts and monitor their fitness. It is one of many smart fashion items bursting onto the scene, so it is extremely important for Will to set his brand apart — we’re assuming that is where Talley’s eye and expertise come in. It will certainly be interesting to see if Talley’s influence makes or breaks the product. Melissa McCarthy is the latest celebrity to throw her name behind a clothing line. Except this is more than just a vanity project. Melissa famously mentioned her intent to start her own line after having to deal with the challenges of dressing her plus-sized body. As she told Redbook, “When I go shopping, most of the time I’m disappointed. Two Oscars ago, I couldn’t find anybody to do a dress for me. I asked five or six designers—very high-level ones who make lots of dresses for people—and they all said no.” Now, the dream has become a reality. With the help of Sunrise Brands, the actress is launching a clothing and accessories collection for women that will hit shelves in the fall of 2015. Melissa is no stranger to designing. She’s actually a trained designer, having studied at FIT in her college years. According to WWD, the actress says it was shoe designer Brian Atwood who at the time encouraged her to ditch her pinking shears and try her hand at comedy. Melissa’s line will bow with a selection of casual sportswear options in a range of sizes that will include straight and plus. The brand has yet to be named, but it already has its lineup for next season in order. Prices are reasonable, ranging from $39 for a top to $118 for bottoms. The second collection promises to be more contemporary as well as more expensive. Melissa said she teamed up with Sunrise on the project because she felt “they were committed to changing the plus-size game.” Still, her line has a lot left to do before it makes its debut in stores. For one, it needs to figure out which stores are going to even carry the collection. Melissa is reportedly courting many retailers and has the intent to make the range available online. We honestly can’t wait to see what she comes up with. We’re very familiar with Melissa the actress, but it will be very cool to see her in the role she trained for as a designer. After a grand old time at the 2014 American Music Awards, Lorde was sneakily snapped at California’s LAX airport wearing far too much denim for our liking. Even though she needn’t look glam whilst travelling, there’s a few lessons we can learn from Lorde’s double-denim mishap. The New Zealand singing sensation donned a coordinated ensemble, which isn’t too surprising considering she’s chummy as all hell with matchy-matchy’s biggest fan, Taylor Swift, but this twin set wasn’t pleasing to the eye. We’ll be the first to admit we love a bit of double denim, and a twin set all the same, but the biggest mistake you can make in denim is doubling up on the same wash.
Thankfully she broke it all up with a striped T-shirt, some grungy boots and chic cat-eyed shades, but, at this point, the damage was already done. Although we’re not a fan of this particular getup, we’re excited to see her veer away from her go-to black jumpsuits and mannish tuxedos for the flight and can’t wait to see what she comes up with next.